We are more than just birth certificates and Medicaid. In fact, with three divisions, 26 offices and bureaus, and more than 50 programs, we serve the residents of Utah across their entire lifespan, from healthy pregnancies to preventing falls among older adults and everything in between. We work closely with Utah’s 13 local health departments and numerous community partners to create healthy environments to live, work, and play in and to ensure access to quality health care. Learn more about who we are and what we do. Our history dates back to the Mormon pioneers who first entered the Salt Lake Valley in July 1847. However, it was the lifelong dedication of two remarkable individuals that would ultimately shape public health in Utah as we know it today. Our vision is for Utah to be a place where all people can enjoy the best health possible; where all can live and thrive in healthy and safe communities. The Department’s three strategic priorities are integrated throughout our daily work, and are designed to help us achieve our vision. Click here for the Department’s strategic plan. The fourth wife of polygamist Angus Cannon, Martha “Mattie” Hughes Cannon was determined to become a physician to help alleviate the endless sickness and death associated with early frontier life. She was born in Wales on July 1, 1857 and immigrated with her family to the United States, settling with the Mormon pioneers in Salt Lake City, Utah. She graduated from the University of Deseret with a degree in chemistry – nearly unheard of for women in that time. Later, she was accepted to study medicine at the male dominated University of Michigan Medical School without an interview. She graduated on July 1, 1880 with her M.D. and soon after, was the first woman to ever be admitted to the University of Pennsylvania Auxillary School Of Medicine where she earned a degree in pharmacy. She exiled to Europe for two years with her infant daughter to protect her husband who had a warrant out for his arrest for polygamy. When she returned, she opened a thriving medical practice. However, when she became pregnant with her second child, she once again had to go into hiding on the polygamy underground, fleeing to San Francisco. After “a manifesto” regarding plural marriage was issued by Wilford Woodruff in the fall of 1890, Dr. Cannon once again returned to Utah. On November 3, 1896, she won a seat in the Utah State Senate by defeating, among others, her own husband. The first female senator in Utah and the United States, she would serve two terms in the legislature and became an influential and powerful force for not only public health but for the woman’s suffrage movement as well. 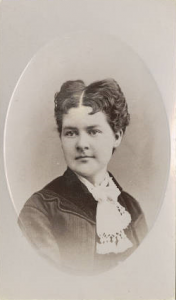 She was described by a Chicago newspaper as “the brightest exponent of the women’s cause in the United States.” Dr. Cannon later became one of the first women to vote in Utah. Dr. Cannon worked for the passage of one of the first “pure food” laws in the nation and the establishment of the State Board of Health – the forerunner of the Utah Department of Health. She established the state’s first nursing college and the first school for the deaf and blind all while raising her three children. After her political career ended when she gave birth to her third child, Dr. Cannon continued to practice medicine and served as a member of the Utah Board of Health and the Utah State School for the Deaf and Dumb. She died on July 10, 1932 in Los Angeles, CA. The main campus of the Utah Department of Health, the Martha Hughes Cannon Health Building, was dedicated in her honor in 1986. A bronze statue of her was dedicated in 1996 and sits in the foyer of the Utah State Senate building on the Utah Capitol Hill. Dr. Beatty was born in Princeton, Illinois, on June 2, 1863. He graduated from Rush Medical College in Chicago in 1883. He was an avid student, and his success as a practitioner depended on his personal enthusiasm and ability to apply what he had learned. After several years of private practice, Dr. Beatty, his wife, and daughter spent a year in Europe where he pursued his postgraduate study. On returning to Salt Lake City, Dr. Beatty devoted more and more time to community health problems. Because of this devotion and dedication, he was offered the position of Commissioner of Health for Salt Lake City in the year 1893. He served in this capacity on a part-time basis for one year. In 1898, a law was passed which created the State Board of Health (the law was sponsored by Dr. Martha Hughes Cannon). Governor Heber M. Wells appointed Dr. Theodore Bruce Beatty to serve as the first State Health Commissioner of Utah. Dr. Beatty was compensated with a salary of $1,000 a year. He filled this part-time position until 1915 when a law was passed that provided for a full-time health officer. In 1925, a public health laboratory was established in the Utah State Capitol. Previous to this, Dr. Beatty would conduct laboratory experiments for diphtheria, typhoid fever, and tuberculosis in his own private medical office. After 40 years of selfless service as State Health Commissioner, he retired with the love and respect of everyone who knew him. 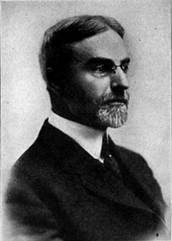 He continued to serve as an adviser and member of the State Board of Health until 1947. Through his many years of service. Dr. Theodore Bruce Beatty made contributions to public health in Utah which were beyond calculation. He labored under the most discouraging conditions and brought to the entire State the benefits of advances in public health work. He was confronted with the problems of disease control, epidemiology, sanitation, child welfare, and the many others which are involved in public health administration. Dr. Beatty oversaw the first federal assistance to states for maternal and child health, the development of programs to control the spread of diseases, vaccination laws, health education initiatives, dental and prenatal clinics, and much more. He passed away on February 12, 1948 at the age of 84. The Utah Public Health Association established the Beatty Award to honor Dr. Beatty’s lifelong service to public health; the most distinguished award given by the association. It is presented to a UPHA member in good standing and who has made a significant contribution to public health in Utah. A timeline of the history of public health in Utah can be found on the Utah Public Health Association website here. Martha Hughes Cannon PBS special aired 7/22/2012. Available at http://www.pbs.org/video/2258934026/. A History of Public Health in Utah by Melvin M. Owens, M.B.A. and Suzanne Dandoy, M.D., M.P.H.